"Dr. Cardin and all of his staff are the absolute best!" "Very professional yet very personable. Thank you Dr. Cardin." "I love Dr. Cardin. He has delivered 5 of my babies. Highly recommend him! "Thank you Dr. Cardin for everything that you have done for me." "Dr. Cardin was my doctor while pregnant and I had the best experience!" "Dr. Cardin was there from day one to delivery day. He is such a great doctor." John Paul Cardin Jr.., MD, is a primary care physician who treats adult patients, young and old, at his self-titled practice in Long Beach, California. Dr. Cardin is board-certified and specializes in general practice, as well as obstetrics and gynecology. He stays up to date with the latest medical advancements to maintain his advanced credentials. Dr. Cardin has been actively practicing medicine in the Long Beach area for over 27 years, and remains passionate about caring for patients and helping them achieve optimal health. Dr. Cardin takes the time to really listen to patients, understand their needs, and gain trust to provide the best possible medical solutions. This is demonstrated in his detailed, first patient appointments, in which he addresses all medical issues and possible treatments. For over 20 years, Dr. Cardin has maintained active privileges in good standing at Long Beach Memorial Medical Center. He provides the highest quality of care to patients with high blood pressure, diabetes, female health problems, asthma, allergies, migraines, and much more. Currently accepting new patients, Dr. Cardin can be reached by phone almost 24 hours a day, and also welcomes walk-in appointments. His staff is attentive, efficient, and provides reliable referrals to achieve maximum results for patients. 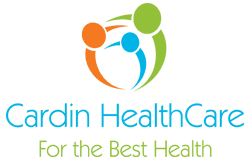 Rather than focusing solely on treating an illness or disease, Dr. Cardin’s top priority is keeping his patients’ overall health in the best possible condition. "Dr Cardin is great. He was very attentive and was always willing to answer any questions or concerns we had during our pregnancy." "I am truly blessed to be one of Dr. Cardin's patients, and I highly recommend him without reservation. He's the best!"